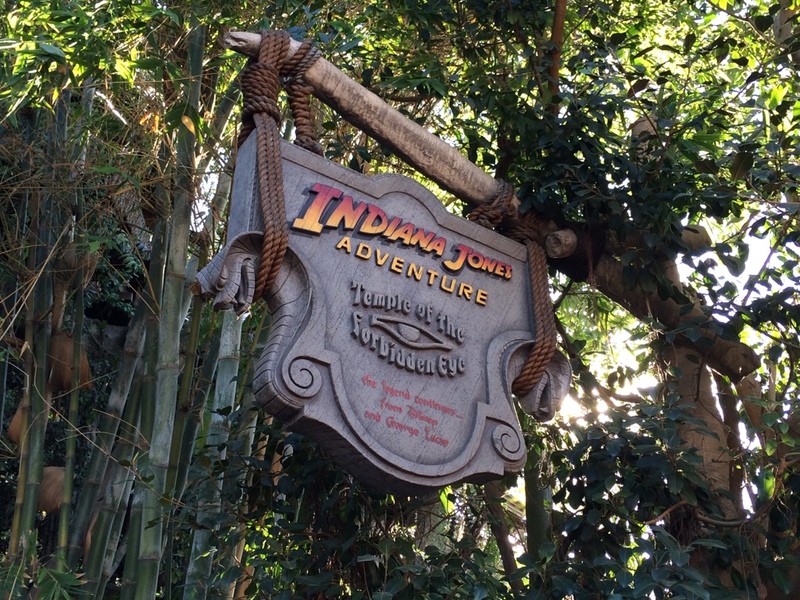 Indiana Jones Adventure should be on everyone’s planned ride list during a visit to the parks! Although it’s almost two decades old (opened on March 1995), the experience of driving like a maniac through a dark, “dangerous” ancient temple is unparalleled. 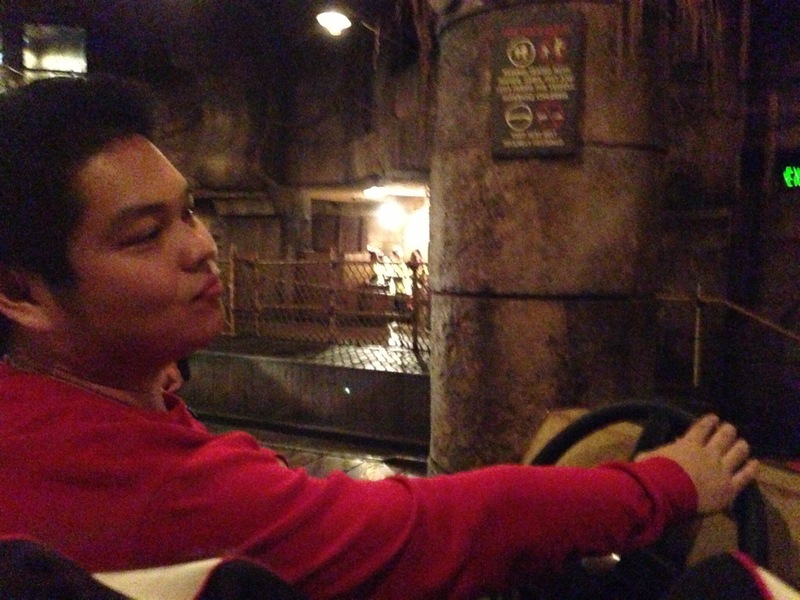 The motion-controlled ride vehicle can sometimes toss you and your stuff around. So here’s a tip to keep your belongings secure. 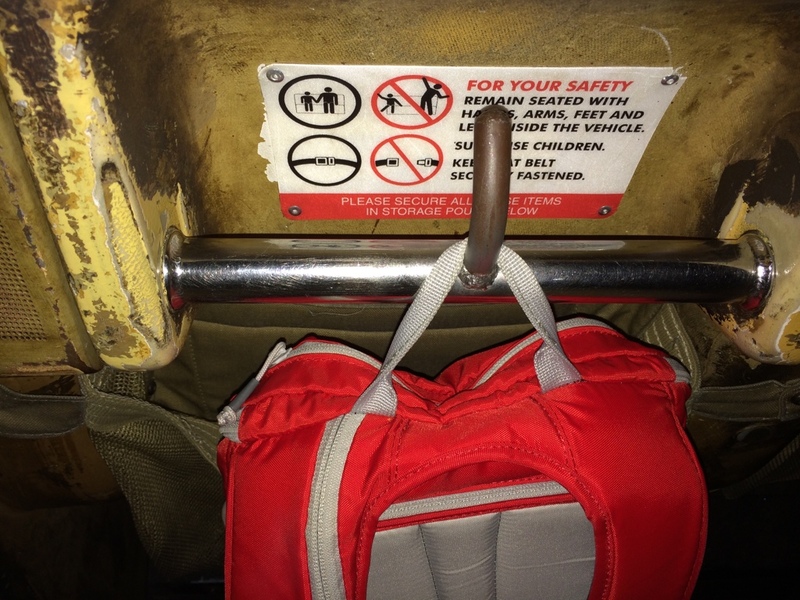 Once you’re seated in the ride car, the first thing you may notice is a mesh pouch in front of you. This is for small loose items, like a hat or sunglasses. Many bags, like a backpack or purse, most likely won’t fit here. So, look up a bit! There will be a metal hook curved upwards. What’s that for? Hanging your bag, of course! In the photo above, I hung my Camelbak backpack from it’s top loop. If you have a handbag or purse, just throw the straps onto the hook. Voila! No more worrying about your bag falling off somehow AND this keeps it off the floor.